Letterpress printing is in my blood, yet I am ashamed to say I know very little about it. My grandfather worked in a letterpress printers from the 1920s until the late 1960s, from apprenticeship through to retirement. When I was young, what he used to do before he retired seemed far too old-fashioned to dwell on – I regret not asking him more about it, as I can see now, as an adult, that letterpress printing is a fascinating and extremely skilled craft, producing beautifully distinctive print for books and newspapers (in those days) to more specialist pieces like limited-edition books, invitations, stationery and posters (today). 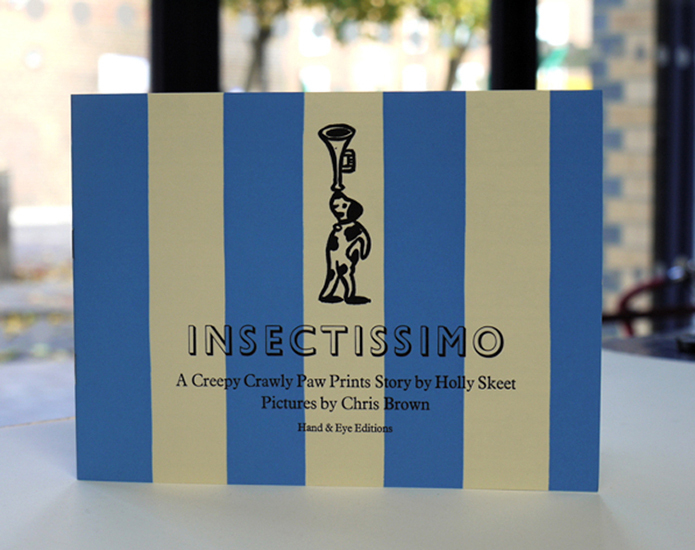 The crispness of the ink impression made onto the paper, the different paper types used (heavy weighted, hand-made, even ‘tree-less’), as well as the very smell of the ink, all contribute to the crafted feel of anything printed by letterpress. 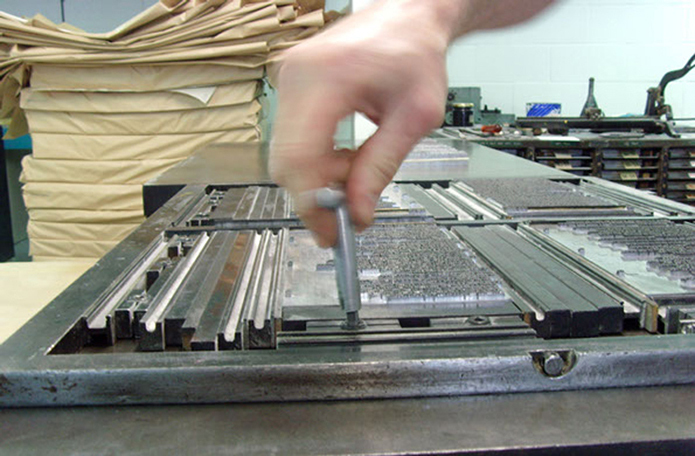 Letterpress printing, in simple terms, is the method of relief printing using a printing press – a raised surface is coated with ink and then pressed into a sheet of paper to leave a positive impression. 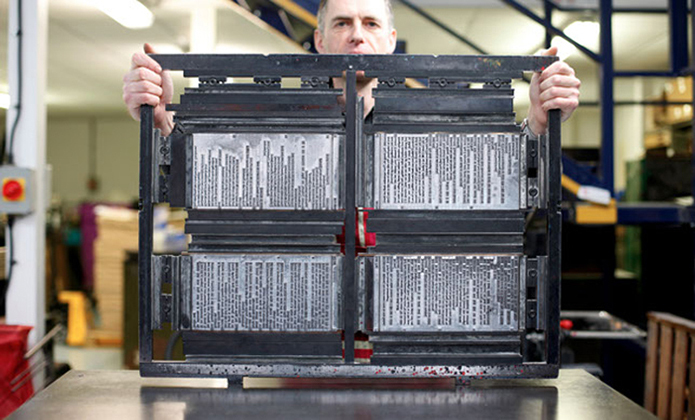 This technique dates back to the 15th Century, when a German blacksmith, goldsmith, printer and inventor, Johannes Gutenberg, invented printing from moveable type. Some would say that this is one of the most important inventions of the Early Modern period, transforming society in terms of the paradigm shifts caused by Renaissance, Reformation, the Age of Enlightenment and the Scientific Revolution due to the resultant increases in mass communication and literacy. 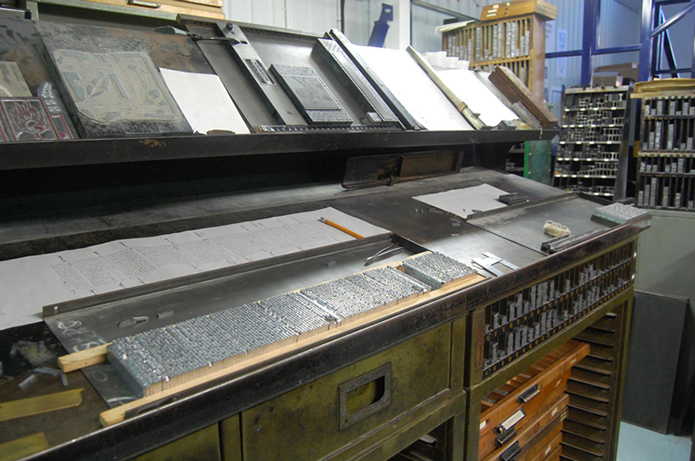 Letterpress printing has continued using the same basic concepts, although the machinery has evolved with the times, from wooden to iron presses for example, up until the 1970 and 80s, by which time offset printing became the norm. The legacy of letterpress printing, however, remains in our everyday vocabulary; ‘minding your ps and qs’ [metal type is a mirror image of the printed letter so these two letters could easily be muddled! ], ‘getting the wrong end of the stick’ and to ‘be out of sorts’ are also commonly used phrases originating from the intricacy of setting type for print. Phil Abel, who set up Hand & Eye Letterpress in the mid 1980s, and operates out of Shadwell, East London, provides us with an insight into letterpress printing past, present and future, including its role within printing today, as well as its artisanal revival in Britain, as well as in America. Although simple in principle, i.e. leaving a pressed impression on paper from a plate, for example, containing specific relief, the actual process requires a combination of skill and experience. Phil and his team have plenty of this, as well as unbounded passion for the craft and a healthy balance of respect for the heritage of printing methods (including the tools and machinery used) and a strong drive to keep letterpress printing relevant within the modern age. We hope you enjoy the following interview. Firstly, for those readers that aren’t familiar with your business, please can you explain what you do? We are letterpress printers. 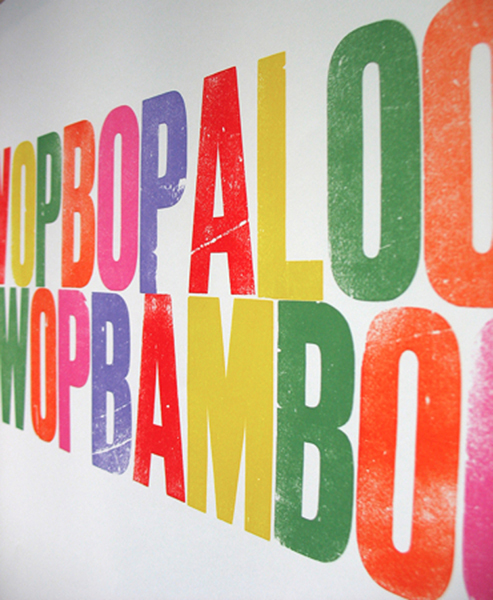 We mostly print books, stationery and invitations, as well as other things like LP sleeves. We also have machines that set and cast type. What was your background prior to Hand & Eye and what prompted you to start your own business? I was working for a photographic supply company and when that job ended I wanted to try making things for a living. I’d already bought an Adana from a friend and had accumulated some other machines so I gave it a go. I’ve told the story more fully on our blog. 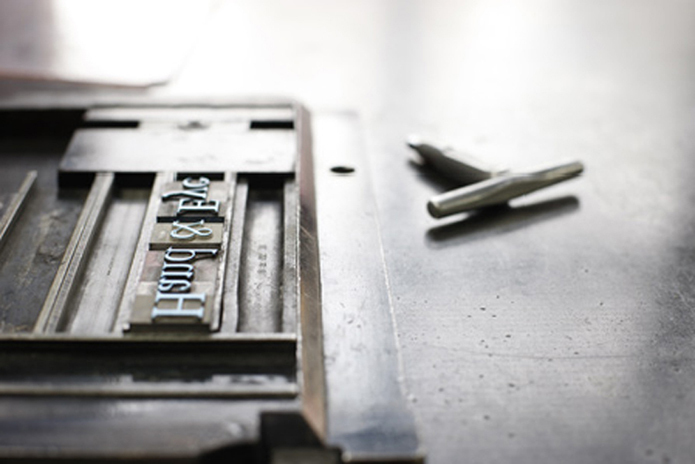 How does letterpress printing differ to other types of printing used today? Letterpress is distinctive because the image is pushed onto the paper, which processes like litho, digital and screen printing don’t do. It is different but not necessarily better. This week I’ve seen good litho and indifferent litho, good letterpress and not so good. To paraphrase Louis Armstrong, there are two types of printing: good and bad. I wouldn’t say there was such a thing. Most of our customers are looking for something out of the ordinary, or they like us and our service. What tools and equipment do you need, and are they still being made today? Aside from presses and type there are any number of other tools. 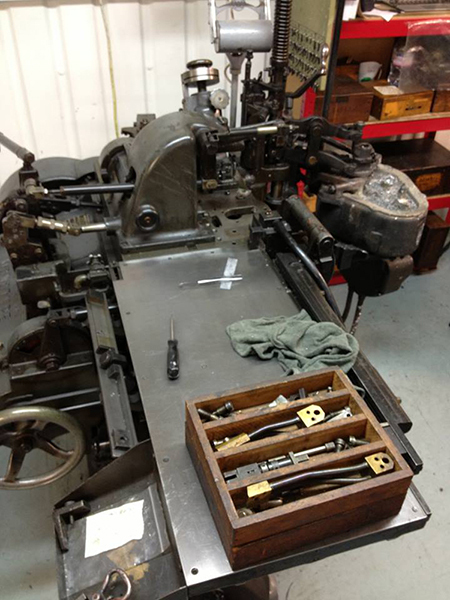 Letterpress printing was a major industrial process, and while most of the tools are no longer made there are lots of them available second hand. Could you guide us through process of printing a typical invitation or poster? These days we are usually sent artwork as a PDF. If there is to be more than one colour we make separations and send them to the customer for checking. Once approved we send it to our platemaker, who etches relief zinc plates. We have a stock of accurate metal mounts for the plates, which we use to get them up to the right height for the press. Meanwhile we have ordered the paper and will cut it to a size slightly larger than the finished one. 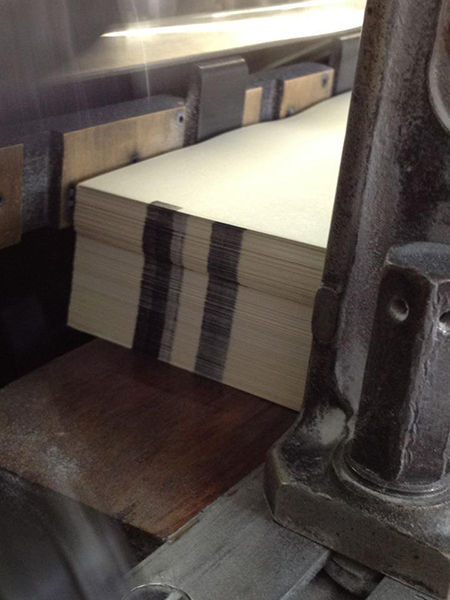 The job is printed one colour at a time and the day after the last working it is trimmed to size and sent out. 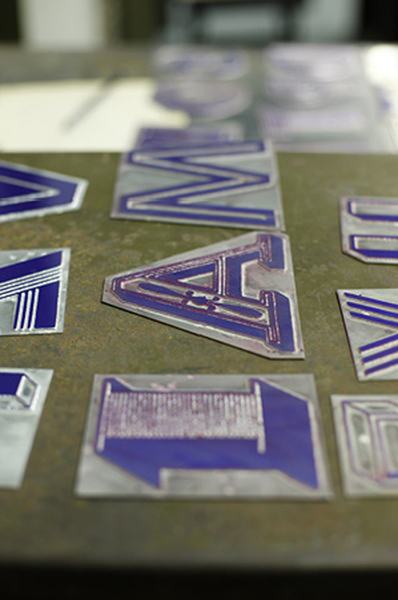 If we are setting the type ourselves, either by hand in metal or wood or by machine, proofs are sent to the customer for approval before printing. Unless the customer is paying for a machine proof (i.e. printed in the colours specified on the chosen material) they are usually PDFs of scans of proofs made in black on proofing paper. Do you believe using the combination of better quality paper and the use of letterpress printing can make a difference, and in what way? Two of the things that determine the look of a job are the printing method and the paper used. The same job printed letterpress on gloss art paper will look different from how it appears on watercolour paper. Different papers require different amounts of impression and ink density, both of which affect the look. Is there anyone you have particularly taken inspiration from to produce the work that you are creating? There are a number of mid-twentieth century people and printers who have been formative influences on me. 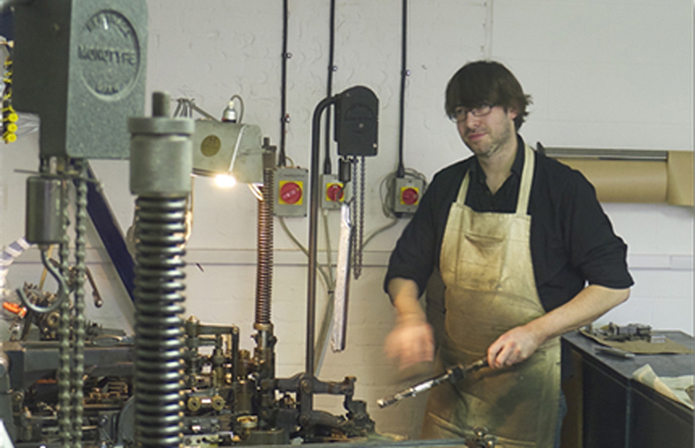 They include the Curwen and Shenval Presses, Eric Gill, Robert Harling, Stanley Morison, Oliver Simon and Robert Pirsig. With the benefit of experience, what advice can you give to anyone who is inspired to set up their own artisan craft business? If you love it, do it. Don’t expect to make a lot of money from it unless you employ staff, and you might not even then. For someone looking to enter the letterpress printing today, how would they go about training for such a craft? 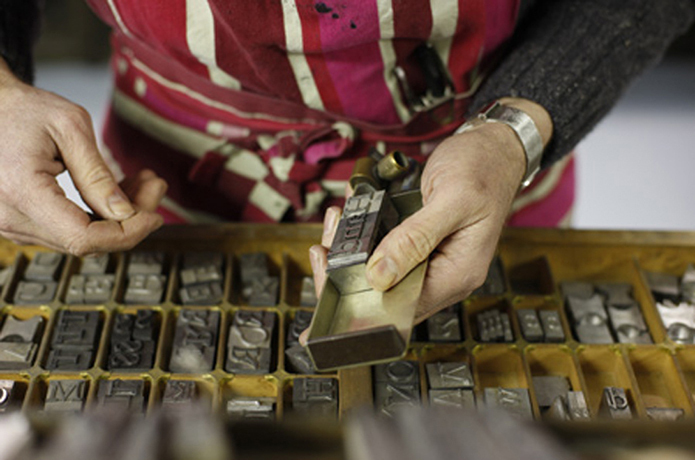 There are an increasing number of places that offer courses in letterpress printing, including St Bride Library and the London Centre for Book Arts. In the end, though, the best way to learn is by doing. 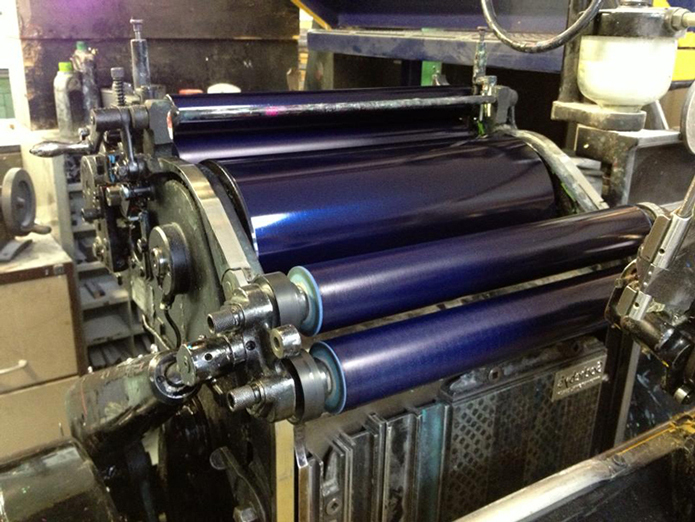 What do you feel the future holds for letterpress printing; do you feel there will be demand in future generations? I think that craft processes will continue to have an attraction as the world is dominated by digital technologies. There is already an increased interest in letterpress and I think it has a niche in which to survive. What are your plans for the business; do you have any projects in mind that you can share with us? The plan is to keep on printing as well as we possibly can. Thanks to Phil Abel for taking time out of his busy schedule to answer our questions. 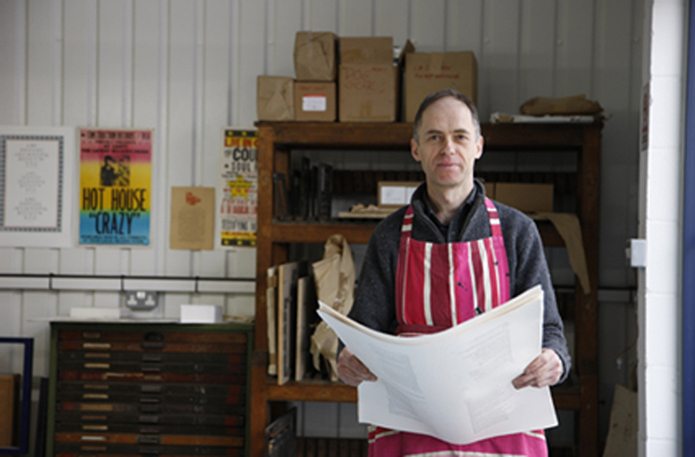 For more information on letterpress printing by Hand & Eye, or if you’re considering commissioning a project, please visit Phil’s website by clicking the link below. Photos courtesy of Patrick Harrison and Phil Abel.